Peace Accelerators (PA) is a NYC based 501(c)3 nonprofit and global community. community leaders, doers, change-makers, visionaries, and dreamers aligning together. it is our smartest, most rational choice for our species if we want to mitigate the worst potential consequences of our current ecological crisis. to help us reach global peace faster / mitigate conflict / reduce violence / increase compassion for our species. You should be one too. 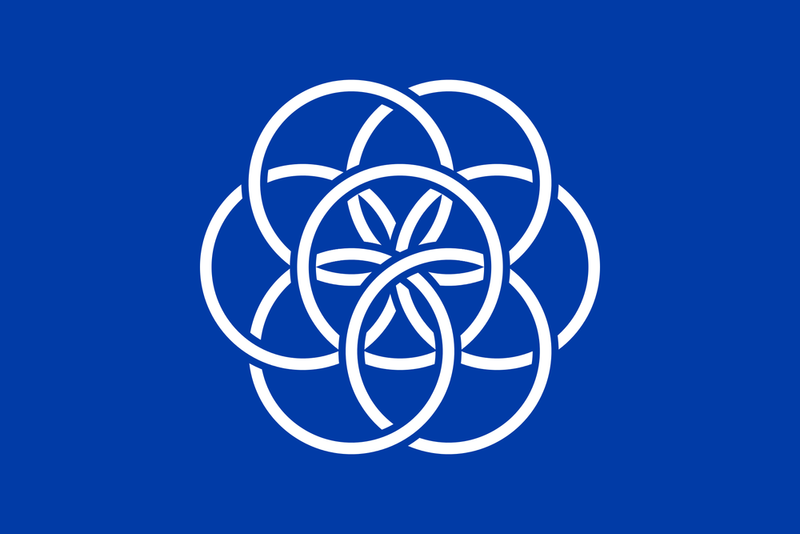 The Earth Flag is a symbol representing an upgrade - a cognitive evolution - of the homo sapien's highest allegiance. Peace Accelerators use the Earth Flag as a sign of unity, peace, and hope. We wear it proudly. If we truly want peace we must evolve and update degenerate mindsets--never through force, but by inspiration, education, and edification. Innately, homo sapiens unconsciously identify themselves with tribes-- from religions to occupations to sports teams to cities to social classes to nation states. Our “highest allegiance" is created by what we choose as the most dominant of these tribal identities. We are not separated by borders but instead by mental barriers and stories we have chosen to believe. One of the most important mental shifts that must take place over this decade (2018-2028) is the ascension of our dominant tribal identity. Some of these antiquated narratives over this century will dissolve allowing us to transcend our mind into a unified planet. This natural adaptation is already taking place, but if we are cognizant of this transition and give it a symbol we can catalyze it's momentum. I PLEDGE ALLEGIANCE TO THE FLAG OF THE EARTH AND TO THE PLANET FOR WHICH OUR SPECIES AND OTHERS CALL HOME -- ONE GLOBE, UNITING ALL PEOPLE FOR PEACE, FREEDOM, AND ABUNDANCE FOR ALL.